Athletes and coaches from across Maine have been selected to participate in the 30th Annual Maine Shrine Lobster Bowl Classic which will be held July 20 at Thornton Academy in Saco, Maine. The “Lobster Bowl” is an all-star football game featuring the state’s best graduated senior football players and cheerleaders, and seasoned Maine coaches. The net proceeds benefit the 22 Shriner Hospitals for Children across the US, Canada, and Mexico. Funds are raised by each Lobster Bowl participant. The Shriner Lobster Bowl was created to raise money and awareness for the expert orthopedic and burn care facilities available to children who desperately need this specialized care, regardless of their ability to pay. This year John Bapst is well-represented in on the Maine East squad. Cheerleaders Alia Parsons and Jenna Voteur will cheer on their classmates Noah Scanlon and Jared Smith. 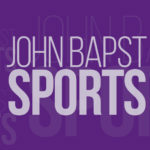 Dan O’Connell, Head football coach and Athletic Director at John Bapst, has been selected to coach the East Squad for a twelfth consecutive game. Please contact any of the student-athletes or Coach O’Connell for information on how you can support this great cause, or support the athletes at the 30th Annual Maine Shrine Lobster Bowl Classic on July 20, 2019 in Saco. 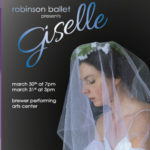 Soojin Kang '19 Performs with Robinson Ballet in "Giselle"